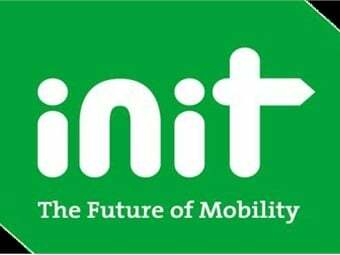 INIT Innovations in Transportation Inc., a global provider of intelligent transportation systems for public transit, will expand its presence in Chesapeake, Va. The company will consolidate its administrative offices, two manufacturing firms and warehouse operations into a 70,000-square-foot facility. GO-1 LLC., an affiliate of INIT, has signed a contract with the Chesapeake Economic Development Authority for eight acres of land in Oakbrooke Business and Technology Center to develop the new facility. Breaking ground on the site is scheduled for April 2016. The new facility is targeted for completion in March 2017. INIT’s existing North American operations are currently located in the Greenbrier Business District of Chesapeake. It encompasses the company’s two manufacturing firms, Superior Quality Manufacturing LLC (SQM) and Total Quality Assembly LLC (TQA), and warehouses. The new office will house INIT’s staff including their engineering, development, sales, customer support, information technology, project management and administrative departments. INIT, TQA and SQM currently employ approximately 70 people. RELATED: INIT reduces environmental impact with zero-waste-to-landfill cert. In 1999, when the company’s North American business was established, the City of Chesapeake, Department of Economic Development became a vital link in finding the right space for INIT’s U.S subsidiary.